The stakes are high for this contest. Both of these watches represent nearly the very best their companies can do. The 8500 is the vaunted next-generation movement of Omega, designed by the most influential and best funded non-Japanese watch company in the world, Swatch Group. And it's proven itself in my testing already. Seiko's competitor, the 9S85, represents not only nearly the best that Seiko can do, but nearly the best Asia can. Should the movement fail to impress, it would be a disastrous blow, in my estimation, to Seiko. It's true; neither of these movements are truly the creme de la creme of their company. For Omega, certain versions of this movement have a silicon hairspring. For Seiko, certain versions of their movement are adjusted to a tighter spec. But these are really, really close. But, of course, watches are more than movements. These are both exceptionally attractive. They're both roughly similar in size and cost. They both feature screw down crowns. They can both go from sport to dress with relative ease. These are great all purpose watches at the top of their game. But which one is better? As a caveat, I must confess up front that I'll be spending a little more time on the GS in this comparison. This is for several reasons. 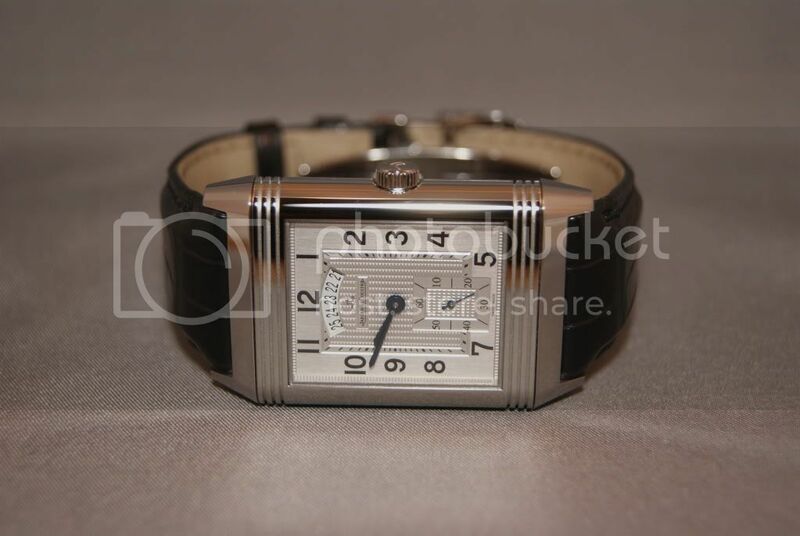 For one, great photos and information about the Omega are widely available already as it's much less rare. Two, chances are you can just drive somewhere and see it in person unlike the GS. And finally, I've already written extensively on it in my "Comprehensive Review," so if you want to see more photos and information than are in this thread, go check out that review. I go into a lot of technical depth on the performance and design in that review, and I intend on doing the same with the GS later. How does one compare these watches? They're so different and yet--so similar. 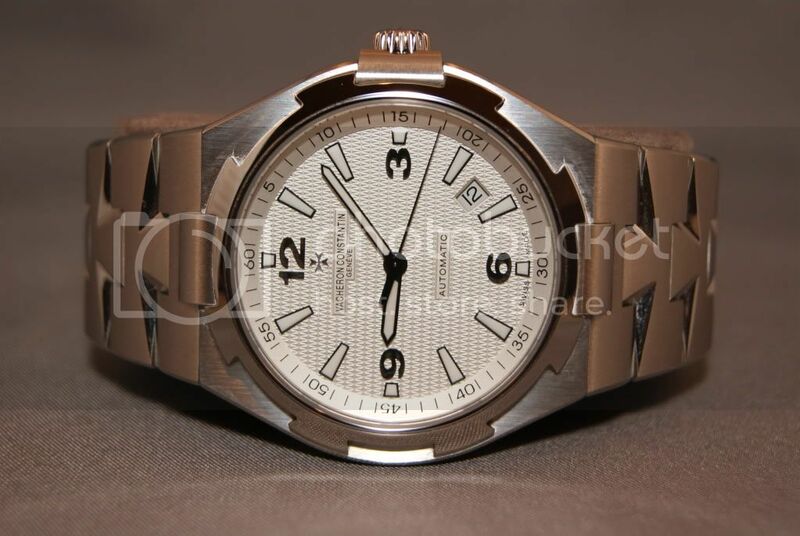 The Aqua Terra represents the sportier, trendier model that can cross over to dress with the right strap. The GS is very nearly a pure dress watch but, on a bracelet, can be casual and sporty. Their sizes are similar--40mm for the GS and either 38.5 (in this case) or 41 for the AT. For me personally, a 5'10 average build man, the GS' size is absolutely perfect, whereas the AT is just slightly small. In terms of thickness and weight, they seem virtually identical to me. The GS seems to be a bit thinner, but this is more an optical illusion due to its increased length. Actually, both of them are a little chubby for what they are. The Aqua Terra is a great looking watch. Stylish, yet still classy. Sporty, but not truly aggressive. 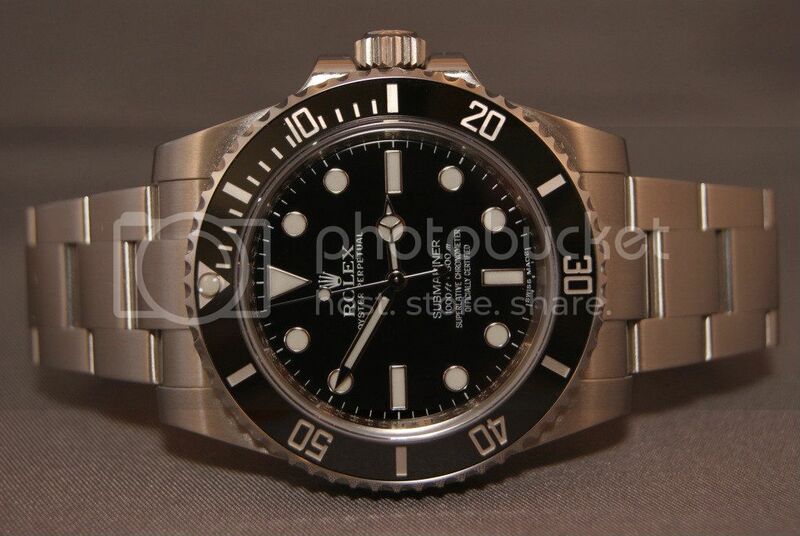 In many ways, it reminds me of the Rolex Explorer. It's the refined sports watch. The dial, though a bit "flat" in color, livens it up with its teak lines. Tastefully placed numbers are laid around the edge. The color of the dial ranges from a deep, inky black, to a shiny, nearly silver appearance, depending on the light its exposed to. 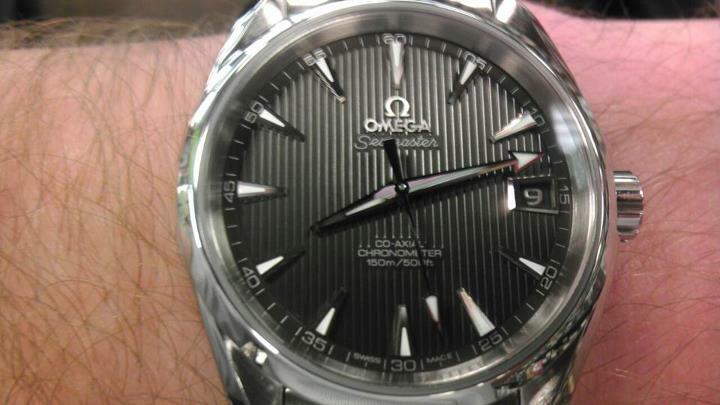 In fact, although Omega refers to this as the gray dial, I tend to think it's misleading. In most lights it's black or it's silver. The hands and hour markers have so much character to them. 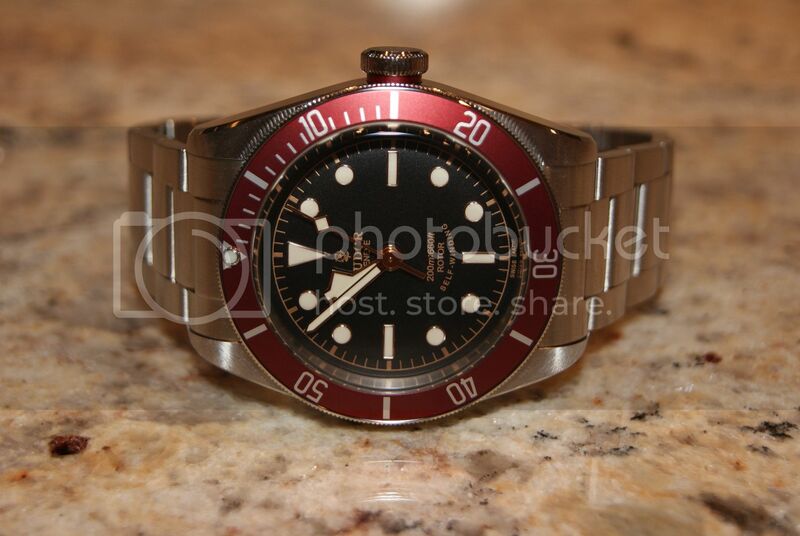 I love the fat, tank like hour hand and its contrast to the harpoon-esque minute hand. The tooth hour markers are a great touch. The date window's trapezoid shape meshes well with the angles on the dial. And their angles stand in sharp contrast to the vertical teak lines. This actually increases readability, because when your eyes see the vertical lines "broken" by something in the way, they are instantly drawn to it. It loves sharp angles of light. Head on it's not quite as impressive. But allow the light to illuminate only one side of the teak lines, and leave the other in shadow, and it dramatically highlights the details of the dial. The AT is something you see in the display and think "wow, that looks really cool." The GS more like punches you in the stomach and you can't look away. There's no telling how many car accidents wearing this watch has caused. Grand Seiko designers are masters of light. They know how to make the dial, the hands and the indices play with the light. This cannot be captured by camera, so far, however. In real life, you can watch the light dance on the dial, breaking into these various halo shapes, and it's mystifying. The perfectly mirror polished steel hands and indices take on the colors of the room as if they were some sort of abstract art. In intense sunlight, like the first photo of this series, it literally sparkles and is almost too bright to look at. Move all they way down to diffuse artificial lightning and it becomes a soft "glow" of sorts. And yes, the seconds hand really is that blue. The GS lacks some of the pure style the AT has. The AT is the edgier design. But in a sense, the approach to the aesthetics of these watches mirrors their approaches to movement design. The GS wants to take a simple, understated and downright boring layout and make it something incredible. Omega wants something bolder, newer and edgier with the teak dial and aggressive hands and indices. Since the hands are mirror polished in three different angles, they tend to light up and reflect in three different ways each. I adore their shape. One thing that both the AT and GS have going for their hands is that they both look like they have some heft to them. I hate it when watch hands look like tinfoil cutouts. The GS' hands are especially massive. When magnified, you can see that the lines are not cleanly drawn on the Omega. They have a very "rough" texture to them. Of course, this isn't visible ordinarily. Still, when you compare to the Seiko, you see just how perfect the dial is. Granted, at high enough magnification, you can find imperfections/dust/etc on any dial (at least, that I've seen). My advice: for the love of God, do not use a loupe or macro lens on your watch. Their fine polishing technique can throw off a prism effect in the right situation. And it's just a nice little bonus, especially when you consider the Omega is somewhat cheaper than the Seiko. Yet, perhaps Seiko is using a special alloy, or maybe its the product of the hand polishing, the steel hands and indices of the Seiko seem just as "white" and "pure" as the rhodium/white gold in the Omega. The date rings also have some interesting characteristics. On the gray dial Omega (and perhaps the black one too, I can't say, but definitely not the white/opaline one) they use a metallic silver paint for the numbers on the date ring. The Seiko actually gets a really interesting texture metal ring, which glows different colors in bright direct light. These bracelets are both terrific. Their design is even roughly similar. The Aqua Terra is on our left and the GS is on our right. The AT uses a more subtle, narrower bracelet. The bracelet is fully brushed, which makes it extremely easy to clean up. Oddly, the sportier watch has the more humble bracelet. The GS' bracelet is positively blingy by comparison. It'll also be a pain to clean up sooner or later. Both bracelets use screws instead of friction pins, a design I greatly appreciate. In terms of comfort, it's hard to compare them. I had the GS fitted to be slightly tighter than the AT. In doors, the GS now fits better, but in the heat, the AT's looser bracelet fits better. Until I get them the exact same length, I can't make a meaningful comparison. But they're both very high quality and feel great. I think I prefer how the GS' looks. The AT's bracelet is just a bit too plain for me. 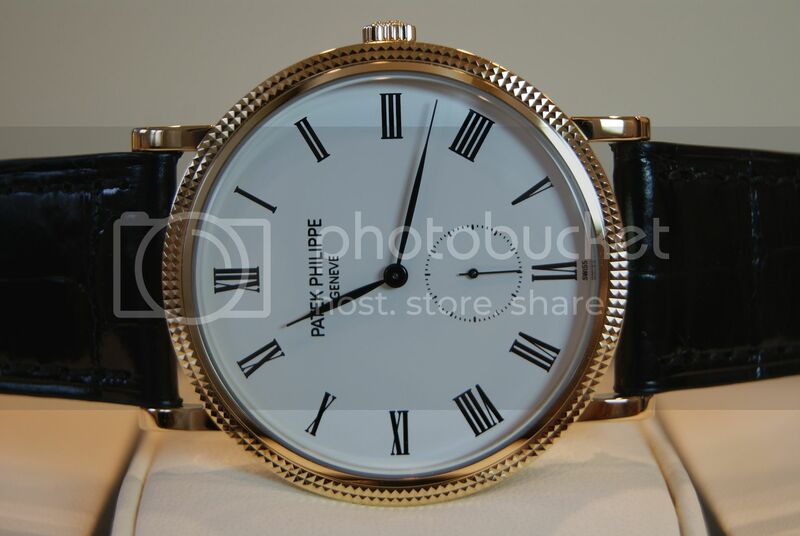 It doesn't look cheap, but it just doesn't really fit the theme of the watch, which is more stylish than the bracelet. It is quite tasteful though. In a sense, I can see it on the GS before I can see it on the AT. The thing that really separates these bracelets for me is the clasp. I'll leave the preference of logo to your sound discretion. However, I do like the smaller and more integrated looking clasp on the Omega. The Omega uses a clasp with two places to secure the bracelet (one per each side, the last link acting as a hidden clasp). One side requires you to press the pushers on the side as per normal, the other just requires a little bit of force to defeat the friction from the ball detent. That creates a little added security. With only the clasp with the Omega symbol free, the watch will still not fall off your hand. The friction of the two little ball bearings is adequate to keep the watch from freeing itself. The GS uses the standard clasp and has no extra protection, although that's not to say it's not made to just as high of quality. That system also makes it look more integrated. The edge of the clasp on the GS is free on the end--that is to say, it does not connect perfectly flush with the next link. The Omega creates that illusion better. However, Seiko's design is less intrusive in terms of comfort where your wrist is against the clasp. The GS is on our left, Omega on our right. I don't find this is noticeable though. I can't say which is my favorite. I think I prefer the actual functional design of the AT's bracelet, but I think I like how the GS' bracelet looks better--I think it looks nicer, and I think it feels more in line with the actual cost of the watch than the AT's. I just can't decide. When I bought the GS, I knew, for sure, that it had no hope of competing with the beautiful 8500. But I was wrong. See those lines on the "Tokyo stripes?" They actually move with whatever source of light is hitting them, changing colors--they look like a hologram in real life. See how it plays with those colors? The entire design of a GS (any GS) is just a piece of art work meant to interact with light. Even the movement. GS loves to write about how awesome their tuning is on the back of their movement. Similar writing is on the 8500, but extremely well hidden. It's virtually invisible on the Omega. Here you can see Seiko's unique Diashock shock absorber on the balance. Thus, if you didn't know that a Grand Seiko 9S85 was high end, using my trick, you could have determined it from its "flower" shape. I love the writing on the rotor. It's bright yellow gold and it just looks incredibly high quality. As you can see (I hope), this is a much closer call than the photos I'd seen led me to believe. Of course, the 8500 is no slouch. 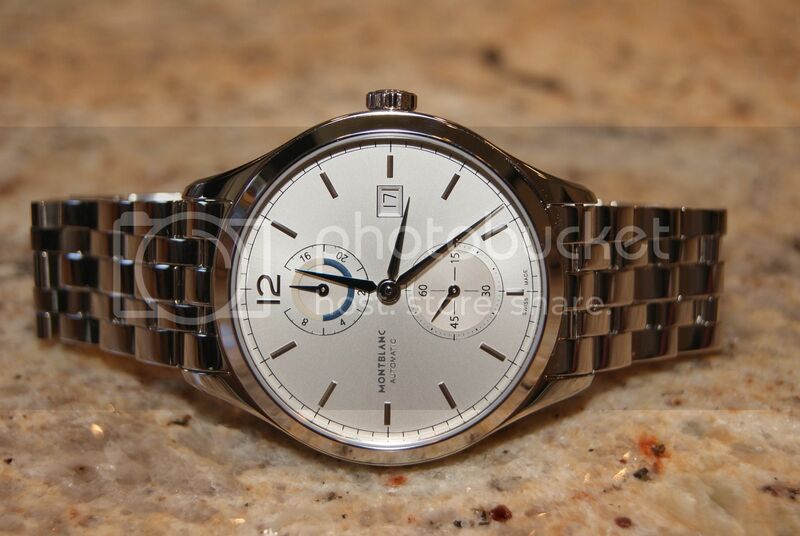 Its steel rhodium plated movement is a sight to behold. I love the pink/purple writing, which matches the rubies really well. Man, those hairlines are invisible in real life. They look terrible in photos. Notice the black balance wheel. The black is apparently a coating. It's made of a "beryllium-free alloy" which is supposed to make it more stable. It contrasts nicely against the rhodium-white finish of the rest of the movement. I promise you can't see those hairlines in real life. Which is better decorated? Well, I leave that up to you. They're both gorgeous and befitting their price tags. Hopefully, in the future, more brands will adopt Zenith's approach and reveal more of the functional movement underneath. In the mean time, these are some of the best looking ones out there. Here in low light, even with fully charged lume, the Seiko is actually just as easy to read. However, as you might suspect, in real darkness, only the Omega is legible. Why did I choose these two watches? Well, aside from their obvious good looks, I was interested in their fundamentally different approaches to automatic time keeping. These are both very special and unique movements, but in entirely different ways. If you're interested in learning more, check out my comprehensive Omega review which goes into great depth, or look for my upcoming Grand Seiko review, where I'll discuss the performance and design of the watch in a lot of detail. Omega has attempted to use novel designs, like the now famous (or infamous, depending on your perspective) co-axial escapement. It has also utilized more complex designs, like a sequential double barrel mainspring and a free sprung balance. They've also made the controversial decision to stick with the 25,600 BPH rate (slightly slower than the industry standard of 28,800) that they switched to in the old 2500 models after problems at 28.8k (do note that the chronograph version of the 8500, the 9300, does return to the 28k beat rate). The free-sprung balance is made from a new non-magnetic alloy and coated black. Seiko, conversely, saves all of their high-tech for their spring drives and quartz watches. The 9S85 is an exercise in taking a traditional design to its theoretical maximum, use the latest in materials, precision engineering, and old fashioned craftsmanship. It has a single barrel mainspring, but that mainspring carries the latest Spron 530 alloy, which, according to Seiko produces 50% more torque than the mainspring and alloy used in their lower beat 9S65 (itself very impressive given a 3 day power reserve). The hairspring is using arguably the most advanced metallic hairspring in existence, made from Spron 610, a propriety alloy that Seiko claims is tougher, more anti-magnetic and more shock resistant that its successful predecessor. 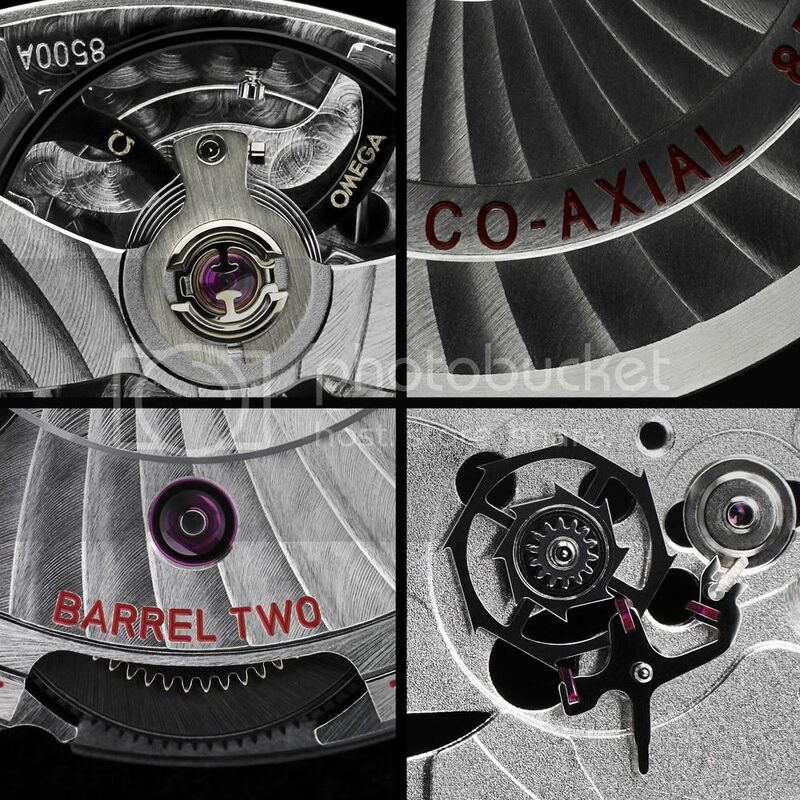 Of course, if the 8500's piece de resistance is the co-axial escapement, the 9S85's is the 36,000 BPH beat rate. As if that weren't impressive enough, Seiko has overhauled their escapement design to make it more accurate and reliable. This is using Seiko's MEMS manufacturing process, which allows it to produce these parts at an unprecedented level of precision. Believe it or not, these components aren't just skeletonized; they're hollow. Weight reduction without compromising the integrity allows the movement to use less energy. This not only increases the effective power reserve, but it also reduces wear. Additionally, Seiko has developed some sort of technology that better holds onto and distributes oil, resisting the "slinging" problems of other 36000 bph movements. In fact, Seiko says the 9S85 has the same durability as the lower beat 9S65 (28800 BPH). But enough bench racing. I've tested both these movements in the real world. A note on my methodology. Day to day wearing is tested in the particular watch's ideal resting position, as I assume that this is the reality for most watch collectors. Power reserve testing is done dial up in a watch case--if a watch collector plans to take his watch off for 2+ days, he'll probably put it dial up in his watch case. That's my thinking anyway (and that's how I personally behave outside of testing). 8500: The 8500 has been an incredible performer. Resting crown up at night, it gains less than one second per day. I'd suggest about 0.8/day based on weekly results. It's incredibly stable. Now, this can be increased to apparently just over a second a day dial up, but the difference isn't huge. Really, this is the sort of a watch that you can put wherever (any position), whenever, and count on it to stay quite accurate. Initially, people were reporting really tight accuracy on this model, accuracy I can confirm in the three ones I've been able to observe, although as time goes by, it seems like I'm seeing more and more +3 through +5/day ratings (although their stability has remained rock solid from those posters). But, with any mechanical watch, there is some luck. For the ones I've seen personally, and the one I own, they have been very impressive. The trend of the watch is a little more complex than the 8500. When worn, it gains something like half a second a day--it appears that when the power reserve is full, the watch runs ever so slightly fast. It then loses a few tenths at night (regardless of position, although crown up will make it go negative). The net total of on the wrist wear comes out to be basically 0/week. I haven't been able to run it for a month straight yet, but it'd be interesting to see if the long term trend is positive or negative. Eventually I decided to let the watch run dial up. Crown up had begun to make the watch trend negative, if however slightly. Thus in terms of day to day accuracy, the 9S85, at least THIS 9S85, is the winner. The 8500 is something like 0.8/day, the GS is more like 0.1/day (or less). I suspect this isn't due to the advanced technology in the movement, or even the extra high beat rate, but the extensive time Seiko invests in their GS movements in terms of adjustment. Not only is the 9S85 apparently easier to adjust, due to having a regulator, but it receives 17 days as opposed to Omega's 15, it is adjusted to +5/-3 (or tighter) as compared to Omega's +6/-4 (or tighter), it is tested in 6 positions compared to Omega's 5, and finally it is tested in 3 temperatures as compared to Omega's 2. The end result is a watch that's slightly better dialed in. Put in other words, these movements are incredibly close in terms of day to day accuracy, but I think the GS wins ever so slightly not due to the movement per se, but by the craftsmanship put in to making it and adjusting it. Were the tables turned, perhaps Omega would be the victor. That said, while I can say that THIS Seiko beat THIS Omega, these results are so close that I have to imagine that it's going to come down to luck for future purchasers. I'd need to test 10 of each to come to come up with a "sure" victor. Not many watch collectors test their power reserves, but I do it out of an abundance of caution to make sure my new expensive watch is performing as it should be. Generally the ratings speak for themselves: 60 hours for the Omega and 55 for the Seiko, but this isn't one of those times. There's a matter of being technically impressive, on the one hand, and how much does each company outperform their rating on the other. Both results are rounded up slightly. But while we're crowning the Omega, I want you to take into account some interesting factors. For one, the Seiko is beating at more than 40% faster than the Omega, and power reserve length is inversely proportional to beat rate, all things being equal. This makes the results, which are a tie for all practical purposes, quite impressive. Then consider that Seiko accomplished this on a single barrel where Omega utilized two (a common practice by watches with super long power reserves). And finally, Seiko exceeded their rating by a bigger percentage than Omega. All of these things make Seiko's 59 hour performance more impressive. In the end, however, it still loses, ever so slightly, to the 8500. And, unlike the accuracy test, this is probably a consistently repeatable difference. Thus, the Omega is the victor here, by over 4 hours. Time 0.0 means when timing began. Both watches were hacked to exactly +/- 0 seconds against time.gov and were fully hand wound. They were then placed in a closed watch case, dial up, until they died. Note that Omega is listed with a 2.5 and Seiko isn't--that's because Omega accomplished a full 2.5 days and Seiko didn't. These numbers reflect accuracy up to the manufacturer's rating and not beyond. Whatever extra time you get past the rating is gravy. I don't consider it fair to hold the manufacturer to supreme accuracy even beyond their rating. It's also worth noting that dial up is the best position for the Seiko and the worst for the Omega, meaning that Omega might have fared slightly better crown up. But my methodology presumes watch collectors store watches in a watch case, and usually that will imply dial up (assuming no watch winders, obviously, as that would defeat an isochronism test). But the Omega is so stable that it probably made little difference. Through day 1 the Seiko easily outperforms the Omega, with a total variation difference of 1.5 seconds between them (ignoring a bias in favor of running positive). The performance continues to impress through day 2, although Omega is now closing the gap. But surprisingly, in the last 7 hours of running, it loses 4 seconds. The Omega remains rock solid, perhaps due to its free sprung balance, its double barrel mainspring or some combination. Omega's last 12 hours is even more impressive when you consider that the time includes an additional 5 more hours than the Seiko. What can I make of these results? It's a mixed bag. Leave your watch off for a day or two, and the Seiko is the one you're going to want to pick back up. Indeed, the photo above was taken recently, after both watches were hacked, and you can see them deviate in two different directions after being unworn for a couple days--but the Seiko is simply closer than the Omega when I picked them up. But which movement is more consistent overall? It has to be the Omega. The rate just doesn't change that much from the first 12 hours to the last, where you see a radical shift in the same conditions with the Seiko. Which watch wins in terms of isochronism? Well, both. One ended up -8, the other ended up +8. The Seiko would gradually reclaim that time as you wore it, as the Omega would continue getting farther from 0. On the other hand, running positive is generally preferable (and preferable to me) than running slow. So I'm calling a tie in this area. The only significant difference in features between these watches involves the quickset date or lack thereof, and the Omega's independently adjustable hour hand. 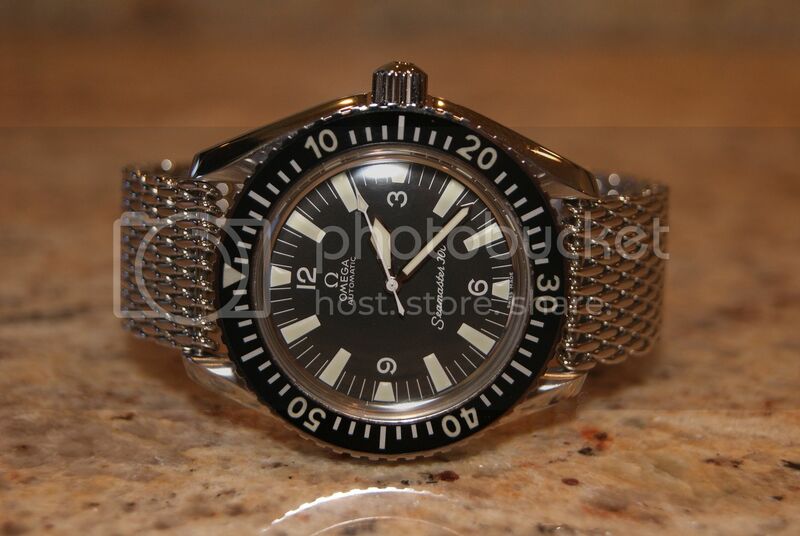 You could also consider Omega's superior 150m water resist rating (compared to Seiko's 100m), although they both have screw down crowns and are suitable for swimming. I didn't test the rating though, so I'm not going to spend time on it. The GS has the more conventional quickset date, but the Omega is interesting insofar as it has an independent hour hand, like a true GMT watch (minus the GMT hand). However, the tradeoff with the Omega is that it loses the quickset date. Nonetheless, because you can spin the hour hand around the dial much faster since it's independent, it doesn't take that long to advance the date. Also interestingly, the date can be reversed as well. That may seem superfluous at first, but if you're the type that leaves a watch unworn for a few weeks at a time, the date can be so off that it's a pain to take the hour hand around the dial 20+ times. In some cases, you can save time by taking the hour hand backwards. Still, it can be an annoyance that would take basically no time at all with a traditional quickset date. Conversely, changing the time for daylight savings, or flying to different time zones, is much easier on the Omega, where you can simply advance or retreat the hour without changing the rest of the watch's time keeping. I appreciate the novelty of the independent hour hand, but in terms of practicality, they make little difference. The way these two watches advance the date is not equal, however. The Omega is the more precise watch, changing about one minute prior to midnight, whereas the Seiko changes 6 minutes after. Despite this, I actually prefer the date change of the Seiko. For one, it takes about 1:15 to change the date on the Seiko whereas it's closer to 2 hours for the Omega. Furthermore, the "danger zone" of changing the time is much narrower on the Seiko--don't change between 10 and 1. According to Omega's FAQ on the 8500, the time should not be changed between 8 PM and 2 AM. No doubt Omega is being cautious, but that's 25% of a day there. That's a hassle in my book. It's also 100% larger than Seiko's danger zone. So in terms of the date change, Seiko might be a little less accurate, but it's faster and safer. Thus, on the whole, I think the Seiko comes out the winner in terms of features. As an aside, we have two of the most powerful watch companies in the world here presenting their very best movements (in terms of time keeping). Why can neither of them accomplish what Rolex does? A simple, nearly instantaneous date changing mechanism that is essentially impervious to changing the time during operation. Swatch Group and Seiko, if anyone, should be able to accomplish this simple feat, and yet we have their next generation movements right here and neither do. That annoys me. These are both smooth winding mechanism, but the slickness of the 8500 (as well as the old 2500) is just incomparable. You cannot tell you're winding anything at all. You can feel the click in the 9S85, even though it is minute. They're both refined, but I have to give the edge to the 8500 here. The Seiko beats 10 times per second, whereas the Omega beats just 7 times per second. When you look at the Omega alone, the staccato motion isn't particularly noticeable, but is discernible if you're looking for it. Putting the Seiko next to the Omega, however, and it becomes quite obvious. You have to really concentrate to see the stopping of the Seiko hand, but the Omega will suddenly seem half as smooth. But the Omega is smooth enough that I don't think this should be a serious issue for those who care about a smooth sweep hand. It's essentially indistinguishable from any other 28k mechanical. Of course, if smooth sweep hands are especially important to you, then by all means get a GS hi-beat, a Zenith el primero or a Seiko Springdrive. This link will take you to a video I made comparing the smoothness of the seconds hands. It'll give you a good idea. I'll upload it to youtube later and do a proper embed. All things being equal, higher frequency movements will be less affected by shock (in terms of time keeping) than lower frequency movements. Unfortunately, I don't have a practical means to test this. So for now, we must assume that the theory holds true and that in some sort of high-shock situation (high vibration presumably) the Seiko will be less affected than the Omega. These watches perform extremely similarly and, at the risk of sounding like a cop out, I can't possibly declare a winner, objectively speaking. Both of these movements are superb. The quality in both of them is incredible. They will both do basically anything you could ask of an automatic. So you're going to have to decide for yourself. But for me, the GS just feels more special. It just looks like something you don't see every day--not necessarily in terms of design, but it just has this presence to it. I can't explain it. It's just the more jaw-dropping watch. This is the opinion I've had from unbiased people in real life as well. Even people that have never cared about watches before, who were uninterested in the Omega, were floored with the GS. Based on that ethereal and unjustifiable appeal, if I could only have one, it'd be the GS. But that's just me. Fortunately, I don't have to choose just one. A special thanks to Timeless Watch Exchange . Without Dan's help, I wouldn't have been able to do all these great reviews or get such a great deal on my GS. Without TWE, I'd definitely not have been able to get the Hi-Beat I really wanted. So I can't say enough about how great it is to go there. Hopefully I'll get another GS from TWE next year too. Last edited by CitizenM; September 5th, 2012 at 00:44.
jvh, mleok, ken_sturrock and 88 others like this. Thanks for the comparative review, both are great watches! enjoy them! Thanks for the comprehensive review. Patek Philippe Calatrava 5119J; Vacheron Constantin Overseas; Jaeger-LeCoultre Grande Reverso Duo; Rolex Submariner 114060; Omega Seamaster 300; Montblanc Heritage Dual Time; Tudor Black Bay. Armida A12; Borealis Estoril; Bulova Accutron II Alpha, Moonwatch; Casio GMW-B5000D, GW-5000, GST-W310; Certina DS-2; Coach Fulton; Hamilton Khaki Field; Helson Skindiver; Orient 60th Anniversary; Seagull Tourbillon, 1963 Air Force; Seiko SNA089P, SUN025P1; Steinhart OVM; Swatch Body and Soul, Heracles, Sistem51, Uncle Charly; Victorinox Alliance, Infantry Vintage. I think we all knew which watch would win though! Could you put a warning about your post being pic heavy in the title, my computer almost died trying to load this thread! Tells and shows you everything you want to know about these two watches. The GS would get my vote clearly though it will be interesting to see how the servicing intervals go on these two as the co-axial design should mean less wear overall. Epic comparison, but more like 2 reviews in 1, I really enjoyed the read. I'm lusting over the GS Hi-Beat more than ever now, it may edge out the Fifty Fathoms as my grail. Not a bad thing either, I'd save 4K too (unless I go insane and buy both). Thank you CitizenM. This represents the forums at their best. Over a half century of "just the right amount of odd." That's a bit shallow. Could do with a little more analysis. . . I just can't get over to competing/clashing dial fonts on the GS. Perhaps a minor nit to pick in the grand (pun intended) scheme, but one which would serve to prevent me from owning what is otherwise a perfect watch. "That's what character is-It's in the tryin'" Eric Taylor. All times are GMT +2. The time now is 01:24.